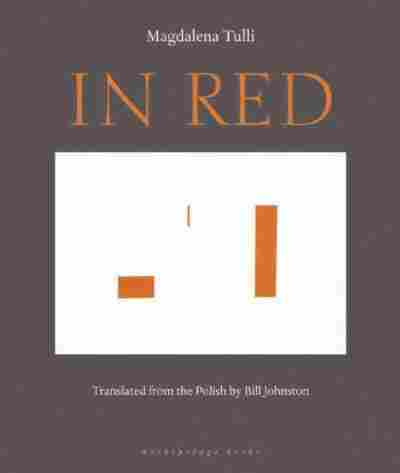 'In Red': A Darkly Fantastic Polish Fairy Tale The small town Magdalena Tulli imagines in her quirky new novel is inhabited by strapping young soldiers, fair maidens, oligarchs and one notable insomniac — all of whom behave in the most unexpected ways. This is the story of Stitchings, a small town to be found in the Republic of Poland, although it might not show up on any of your maps. "Whoever has been everywhere and seen everything, last of all should pay a visit to Stitchings," Magdalena Tulli writes in In Red's first line. It's a wary introduction to a town that behaves as no town should. Sure, there is the salt mine and the porcelain factory. There are strapping young soldiers and fair maidens. There are businessmen and oligarchs and a lucky star hovering over the town hall. But Tulli's hesitation is soon understandable. Magdalena Tulli is one of Poland's most celebrated writers, and with In Red there is much to treasure. She plays with the line between unexpected and quirky very well. Despite the more fantastical elements, there is nothing twee about Tulli. A gritty darkness shadows Stitchings, as the occupying German army marches in, or as the Hussars disappear in the night, or as drunken soldiers freeze to death in the snow banks on the way home from the brothel. There is desperation and poverty and starvation. She creates an atmosphere reminiscent of the dark Polish forests of older fairy tales, the ones with the high body counts. Yet, through it all, Tulli remains welcoming. "Anyone who makes it to Stitchings appreciates ... the moist warm breeze in which desires flourish so handsomely." And that visitor will feel so at home that he'd be "quite unaware that he'd already been relieved of his wallet." It's a sinister welcome mat she lays down. Still, you can't help but to want to return again and again. Just a friendly word of warning: If you come to Stitchings on a tourist visa, keep your valuables locked safely at home.